Upright, deciduous magnolia. Irregular medium domed crown to about 5-6m. 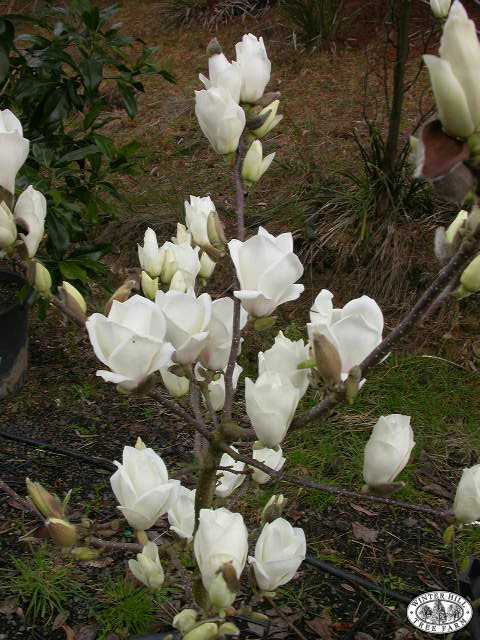 Beautiful creamy white flowers appear before the leaves from early July to mid August. Will tolerate light frosts.